The EUNSAN Shipping & Aircargo Co. Ltd and OUE Ltd from the Republic of Korea have proposed a US$5 billion project in the Ba Son Shipyard area in Ho Chi Minh city. HCMC has approved a master plan to develop the premises of the current military-owned Ba Son Shipyard in a prime location in the downtown area into a major commercial, financial and services center. 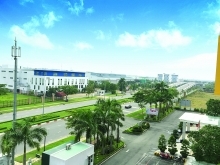 The architecture of constructions there will be in harmony with Thu Thiem 2 bridge and the Metro line 1 which connects Ben Thanh Market and Suoi Tien Theme Park in the city. EUNSAN is a resourceful and proficient NO.1 freight forwarding company with a worldwide network of agencies. Meanwhile, OUE Limited is a persified real estate owner, developer and operator with a real estate portfolio located in prime locations in Asia and the US. 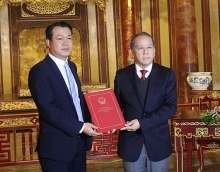 If the proposal is approved, the project will be implemented on Vietnam’s 70th National Day (September 2).